Some see bullet and stab proof vests as ‘hostile’, signalling a readiness and expectance of attack and ‘warfare’. Others simply see it as an expensive and cumbersome piece of equipment that is unnecessary for anyone not involved in these professions. 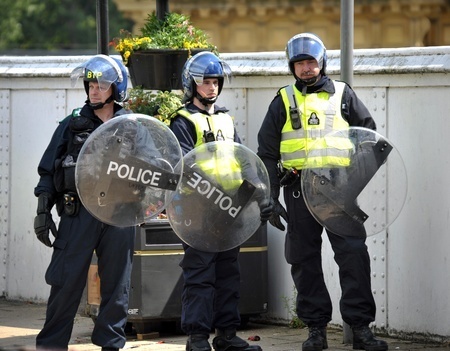 However, the fact of the matter is that body armour should be considered a necessity for anyone who will be working in a hostile environment, where there is the threat of an attack. Furthermore, body armour is more comfortable and more accessible than ever, and can be suited to a variety of professions and circumstances. One of the difficulties involved in body armour is in choosing the correct type. As mentioned above, body armour covers both bullet and stab proof vests, but these are just two examples of the products available; even these items are available in different styles and at different levels of protection. There is a wide rang of protective clothing available, and plenty of crossover between products. Below are some descriptions of some of these products, and explanations of how they can help those in the Emergency Services. These vests are designed to be worn underneath clothing, thereby offering discreet and comfortable protection. The materials used in a bullet proof vest are thinner and lighter than ever, whilst staying strong. This means that even a covert vest can offer high levels of protection while remaining comfortable and without hindering mobility. For those who argue that body armour has a negative impact on the image of certain public services, discreet armour provides an elegant solution to this while keeping these individuals protected. Some of these vests, like this Stealth Vest, even incorporate temperature-regulating technologies that can help keep the wearer cool. This is of particular benefit to Firefighters, for example, who naturally work in incredibly punishing environments, but may need protection against the attacks that are all too often reported on. On the other hand, those in the police service will benefit directly from an overt vest. For uniformed officers in particular, it is an important method of exerting their authority as it signals their preparedness. Overt vests can offer all levels of protection, just like covert vests, and still remain lightweight and flexible. The added benefit of an overt vest, however, is that it can incorporate additional equipment, and even be augmented with logos or insignia to make it a useful part of any uniform. Some vests, like the Vizer from SafeGuard, even offer high-visibility and waterproof covers, making a bullet or stab proof vest a handy addition to a uniform even without its impressive protective abilities. As mentioned above, a bullet proof vest is not the only piece of protective equipment that needs to be considered. We are lucky in the UK to have far fewer instances of gun crime than in other countries. While the Police certainly need to be prepared against these threats, for Ambulance Crews and Paramedics for example the threat of edged or spiked weapons may be far higher. These weapons are much easier to get hold of, and can be just as deadly, particularly in the diverse environments Paramedics work in. A bullet resistant vest cannot protect against these weapons, and so a stab or spike proof vest is necessary. Stab vests use chainmail to stop edged weapons like knives from cutting the Kevlar beneath, whereas spike proof vests use plastic laminate to create a tough surface that will stop weapons like needles.